A month ago, I was seated on the couch flipping the pages of my favorite fashion magazine when hubby arrived. "I bought a kilo of red kidney beans", he told me. "Oh that's great", I coldly replied and continued reading. He left the room frustrated. One afternoon, hubby hinted that he's been craving for something spicy for lunch. I looked at him and replied, " Well I'm not sure that adding chili on your carbonara will do the thing." He left the room disappointed. We were in the bookstore choosing some reading materials for our upcoming vacation. When I caught him with a book on eating healthy, "We should eat more healthy stuff like beans it's good for building muscle." he told me. "Well we're too old to build muscle, aren't we" I jokingly replied. He turned his back upset. Last night I dreamt that I was cut into pieces tossed up in a casserole of boiling red matter, tomato sauce I suppose. With lots and lots of chili. Playing dream analyst still catching up my breath, "I wonder what this gory dream meant" I thought when I woke up. Today I finally decided to cook some chili con carne. When hubby smelled what I was cooking, he looked at me and said "That sounds delicious darling." He then added with a sneering smile on his face, "By the way, in case you don't know just repaired your broken computer that's been broken for a month now you can start blogging again." He then left the room whistling. That's what I call an, "Eye for an eye, tooth for a tooth." 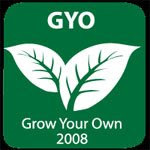 This is of course my entry to Andrea's healthy monthly blogging event GYO, "Grow your own". 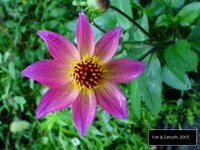 Definitely not only for green thumbs but for all gourmet lovers outhere. This is recipe is great with your garden grown tomatoes and chilies. Go check out the round-up! Start by putting your tomatoes, red bell peppers on an oven dish, put a tablespoon of olive oil and roast it in the oven for an hour at 200° celsius for forty minutes to sixty minutes. Once it's cold, peel off the skin and chopped them together. In a big casserole, put the rest of the olive oil and brown your onion. Add the ground beef then all the spices; cumin,cayenne, salt and pepper. Put the chopped chilis, roasted tomatoes and bell pepper. Stir. Add the tomato pasted and let it simmer over low fire. As a rice topping it's perfect! Your tough on the husband. Glad you made him happy at last. Hi hi were you afrai hubby would chop you up and put you in the pot, if you didn't make anything with the 1kg of beans. I love chillie, this one looks yumm delicious. What a comforting dish!! It looks great! Long time no see so stopped by to say hi. Dhanggit its ur year....the year of the ox. Looks delicious and I especially like that you served it over rice - yum! Wow, a month of waiting! Harsh. 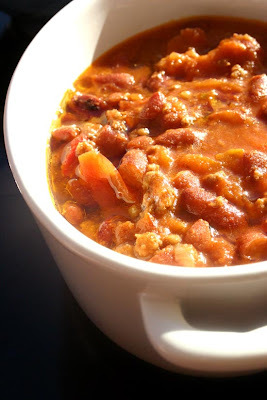 It's definitely chili season- your's looks wonderful! You are a good wife. My father-in-law said "marriage is never 50/50...it's ALWAYS 80/20, with the 80 and 20 switching all the time"
I bet your husband was happy with his chilli! I would be happy as well! That looks bloody good Dhhangit & am I glad he bought the kilo of red beans. This chili is warming, & this chili is good! Welcome back!! wow! thanks for commenting on my post (as in, may naligaw, hehehe). Hmm... actually I'm thanking you for visiting 'coz now I found my way to a fantastic blog. Di kasi ako marunong magluto! :-) pero marunong naman magbasa ng recipee. How are you? I am here in settling in Finland, but so far walang papa, the only thing I see are snowmen! Hehe. an eye for an eye, lol. Sounds just like my house. You crack me up and your gory nightmare! 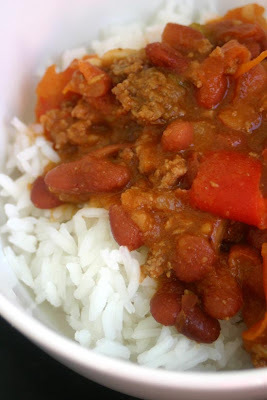 A great chili con carne dish - hot and delicious! You're not the only one Dhanggit, I made this just last week when we were in the mountain with friends! I just loooovveeed Chili con Carne !!! Your husband must be really happy that you finally use the beans! Looks really delicious. One of my FAVORITE comfort foods. This looks amazing and so warm/delicious/hearty! 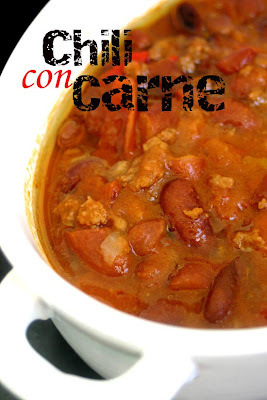 Thanks for the Chili Con Carne recipe. Last summer I ate them at a party and has been looking for an authentic recipe ever since. Now I will be able to make them myself. Thanks again. Hi. 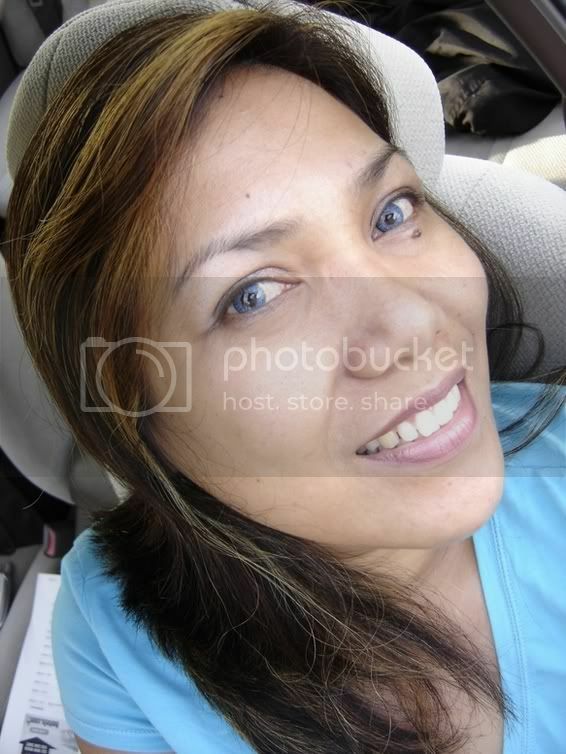 I'm Dhanggit. Thank you for dropping by. There are more than 300 recipes to try!